The Crossings was an Omega-style learning center built by an Austin "Dell-ionaire" in Texas Hill Country thirty minutes northwest of Austin. The gorgeous $20 million facility opened in 2006 with a mission to provide an affordable experience of personal growth. In 2011 The Crossings was sold and is now called Travaasa Austin, which provides a much more luxurious, professional hospitality experience. It's also one of the few spas where you can learn mixology, ride a mechanical bull, horseback ride and learn to dance the two-step. Travaasa's mission is to give you the real flavor of a particular place, instead of the feeling that you could be anywhere. In December of 2016, Miraval Group purchased Travaasa Austin, announcing plans to redevelop it as a Miraval while retaining its Texas flavor. 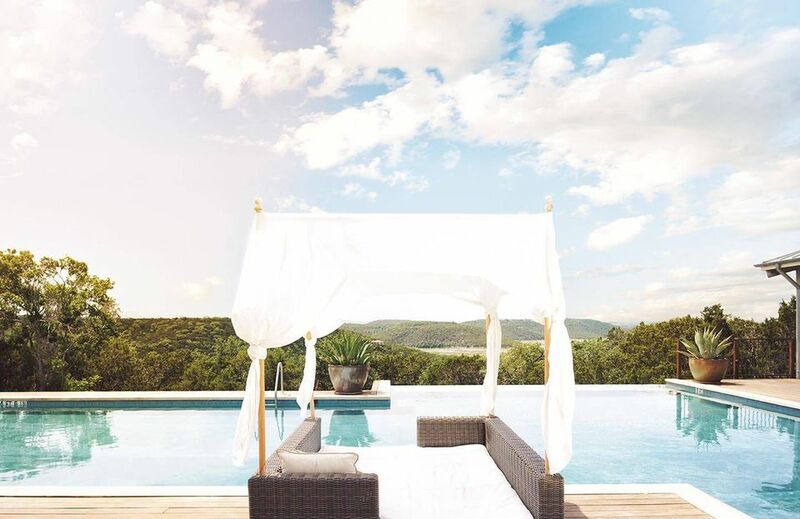 Then it turned right around a month later and sold Travaasa Austin as part of a $215 million sale of its Miraval Resort & Spa in Tucson and the Miraval, Life in Balance brand to Hyatt Hotels Corporation. Hyatt will also invest an additional $160 million over the next few years to redevelop both Miraval and Travaasa Austin and to acquire and redevelop the Cranwell Spa & Golf Resort in Lenox, Mass. Hyatt has been developing holistic health and wellness strategies in recent years. Since 2014, Hyatt chefs around the globe have been championing "Food. Thoughtfully Sourced, Carefully Served", a program featuring menus evolved with an eye on sustainable health. This includes options such as grass-fed meats, sustainable seafood and organic fruits and vegetables. Additionally, many Hyatt hotels worldwide are offering more options for travelers to maintain a healthier routine, including healthy refreshments at arrival, curated in-room amenities, increased fitness offerings, expanded menus and nutritious to-go alternatives. As for what they might do with the Miraval Life in Balance brand, we can look at the Miraval Life in Balance Spa at Monarch Beach Resort in Dana Point, California. The spa there was rebranded in 2016 as part of what was then called a nationwide expansion program. Although it didn't come anywhere close to offering the Tucson experience, the Monarch Beach Resort offered more than 70 of the signature treatments developed at Miraval Tucson, NÂGA and Shamana-Karma treatments; Ayurvedic, energy and body renewal rituals.Arizona. Selected Miraval Tucson signature wellness programs are also offered, including Mindful Stress Mastery, Mindful Eating and Mindfulness at Miraval. Custom yoga and body movement studios in the spa’s new Body Mindfulness Center feature Miraval’s cardio drumming, mindful spinning, aerial yoga and floating mediation programs. Hoplamazian of Hyatt told Fortune magazine that the company will work hard to maintain the integrity of the Miraval brand and “not move too quickly” on expansion. “This is not about using the brand name to try to monetize,” he says. He sees potential in bringing Miraval programming and experiences to his company’s clientele, both by luring them as individuals or in corporate groups to one of the Miraval destination resorts and by bringing Miraval spas or elements of them to Hyatt’s hotels, which number some 650. Hoplamazian also sees potential for Hyatt to expand the Miraval brand into corporations with on-site services at company headquarters. “We believe we can play a role for corporations who want to bring more wellness practices into the work environment,” Hoplamazian said.